IMG_0808.JPG, originally uploaded by candersondc. 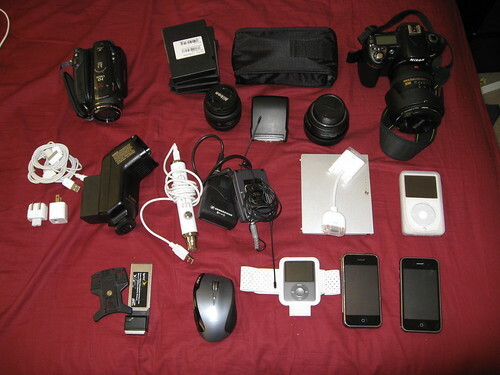 Getting ready for WWDC and complied a list of the gadgets that will bring you coverage. DSLR, two iPhones, two iPods, microphones, a Canon HD camera, lights, flashes, lenses, and cords galore. So exciting!